Who else loves dressing up for Easter Sunday? I just finished ordering mine and the boys Easter Sunday outfits, and even included a matching tie for my husband. Theres just something about the spirit I feel that day, the trees blooming with fresh flowers, and the pops of pastel colors flooding the streets. I think Spring is always a happy time of year because after a long winter, the sun is finally out and we can all say goodbye to cold weather. and hello to sunshine and happiness! This year I’ve found myself leaning towards crochet lace patterned dresses vs. the typical florals. If you’re looking for the perfect spring dress, id also make sure and stop by Modcloth because they have the most adorable spring selection you will ever see! I mean, I want so much its almost overwhelming! Happy Shopping! I love these picks! This is so embarrassing– for the last THREE years I have worn the same orange floral dress. And each year I randomly choose it from my closet and don't realize until after we take pictures and then I say ohhh I wore that last year. 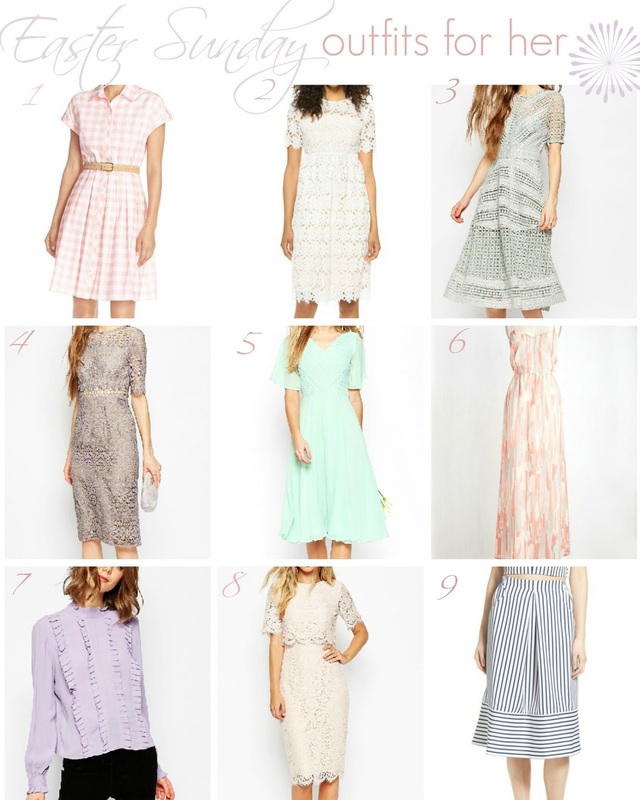 This year I am intentionally choosing a dress- #2 or #8 are both adorable– i think one could be a winner!! 1,2,4 and 8 these are my favorite pieces!